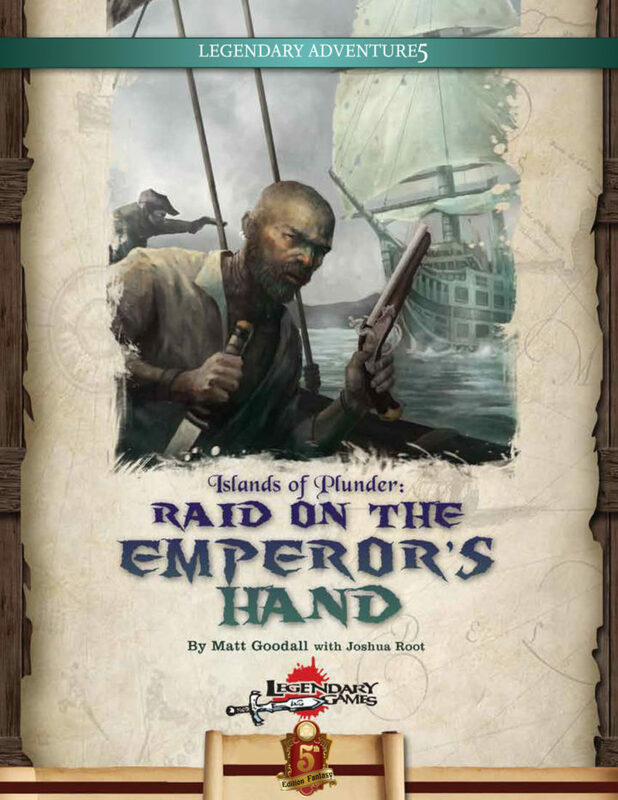 Raid on the Emperor's Hand is a 5E adventure for 8th level characters and is the latest in our series of pirate-themed Islands of Plunder adventures for the 5th Edition of the world's most famous roleplaying game. This adventure is easily dropped into any ocean voyage or as part of a full-fledged seafaring pirate campaign, and it can be used on its own or with the companion adventures in this series like Spices and Flesh, Tarin's Crown, and Scourge of the Steaming Isle! Grab this 26-page pirate adventure today and Make Your Game Legendary!